Sometimes you save a Windows file or folder in one place but, in reorganizing your work, decide you want to move the item to another location. It’s easy, just follow these simple steps. 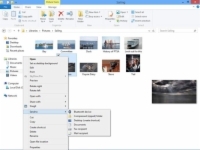 1From the Desktop, click the File Explorer icon. 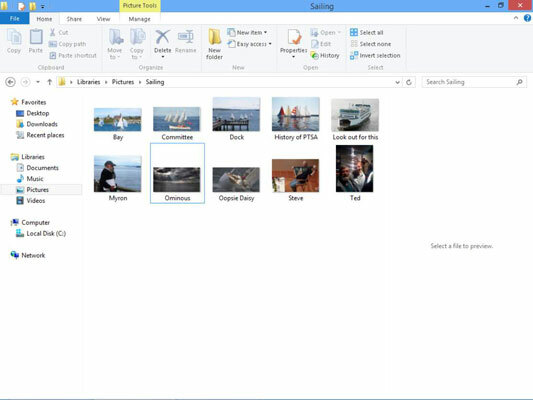 2In File Explorer, double-click a folder or series of folders to locate the file that you want to move. You can move files or folders together if they have the same destination location. 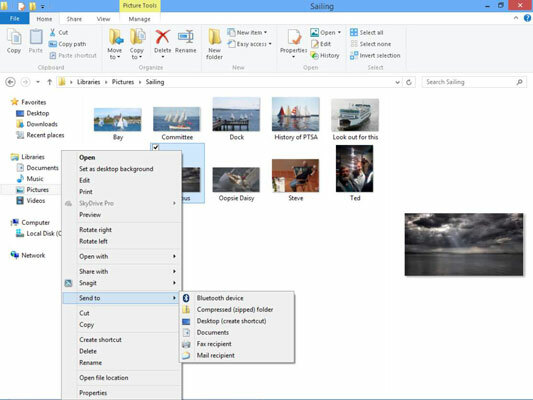 Click and drag the file or folder to another folder in the Navigation pane on the left side of the window. If you have more than one item to move, click on the first and then, pressing the Shift key on your keyboard, click on an adjacent item, or, pressing the Ctrl key, click on non-adjacent items in a list of files or folders. If you right-click and drag, you are offered the options of moving, copying, or creating a shortcut to the item when you place it via the shortcut menu that appears. Right-click the file(s) and choose Send To. Then choose from the options shown in the submenu that appears; these options may vary slightly depending on the type of file you choose and what software you have installed. With a file or files selected, Click the Move to button in the Organize group of tools on the Home tab, and then either choose a location from the list that appears or click Choose Location and then choose any location, such as your Desktop or a USB drive. 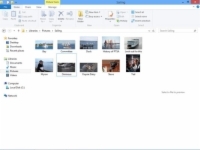 4Click the Close button in the upper-right corner of File Explorer to close it. If you change your mind about moving an item using the right-click-and-drag method, you can click Cancel on the shortcut menu that appears. If you want to create a copy of a file or folder in another location on your laptop, right-click the item and choose Copy. Use File Explorer to navigate to the location where you want to place a copy, right-click, and choose Paste or press Ctrl+V.